Kinnear and Leberl come to Crabble from Margate FC to replace Nicky Forster, who has been placed on gardening leave. Steve Brown remains on the club’s staff. The decision to replace Forster was made at a board meeting on Friday, following Whites’ poor run of form and disappointing average points tally, something that the directors did not see changing under his management. 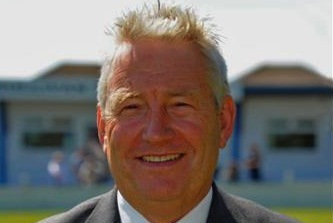 New boss Chris Kinnear previously managed Dover Athletic from 1985 to 1995, successfully guiding the club from the foot of the Southern League to the Conference, winning the Southern League Southern Division and then the Southern League Premier Division twice. Since leaving Crabble in 1995, Kinnear joined Margate and led the club to two promotions in three seasons, once again reaching the Conference. The Gate finished 8th and 10th in their first two seasons there and enjoyed two memorable FA Cup runs. Chris left Margate in 2005 and became a scout for clubs such as Wolverhampton Wanderers. *Lpic1*He returned to Hartsdown Park as manager in 2011, quickly stabilising the club on the field. This season he has established Margate as promotion contenders in the Ryman Premier Division. 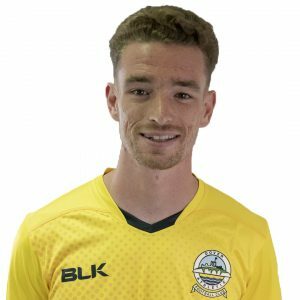 Kinnear brings his assistant at Margate Jake Leberl with him, three years after Jake’s second spell as a player at Crabble. Leberl originally joined Dover Athletic from Crewe Alexandra in 1997 and excelled at centre back, voted player of the season in 2002 before leaving to play for Chris Kinnear at Margate. Jake went on to win the Conference title with Dagenham & Redbridge in 2007 before enjoying back-to-back promotions with AFC Wimbledon. Andy Hessenthaler then brought him back to Crabble for brief spell in 2009/10. He has been assistant manager at Margate since Chris Kinnear’s return in April 2011.